Two hundred square feet is all Isaac Alvarado needs to run his barber shop. Some taxidermy and antique knick-knacks don’t hurt, either. 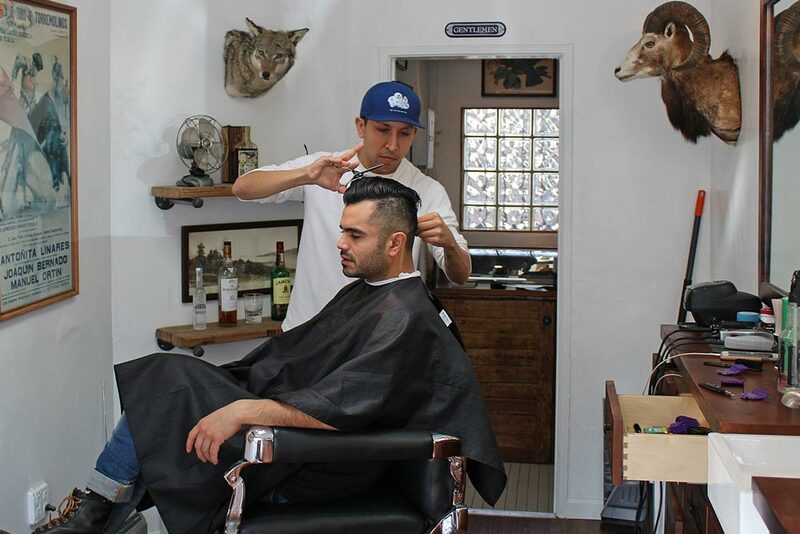 Taking over the sliver of space at 27 ½ E. Victoria St. in Santa Barbara is Wolf’s Head Annex, the barber shop arm of the Wolf’s Head menswear store at 432 State St. The Sagastumes opened the main Wolf’s Head store in 2014, and took over the spot of Members Only Barber Shop when their State Street landlord, who had acquired the Victoria Street location, asked them to check out a new vacancy. “We jumped at it because it’s just kind of legendary,” Sagastume said of the location and its barbering history. The Sagastumes and Alvarado already had local barber shop experience, and said demand for those services was increasing. Wolf’s Head Annex is open Tuesday through Saturday from 10 a.m. to 6 p.m., Sunday 12 p.m. to 5 p.m. and Monday by appointment.